Turmeric is wonder herb. 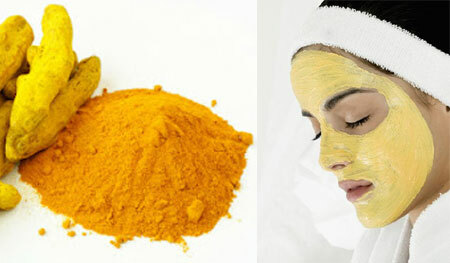 Known for its myriads of health benefits, turmeric is a hot pick for women who want flawless skin. This article will list some of the skin benefits that this age-old Indian spice has. By the time you finish reading this, we are sure you will be off your house to the nearest marketplace to get hold of some turmeric. Acne: This is one of THE MOST annoying problems for women, especially teenagers. Mixing sandalwood and turmeric powder in water and applying on face on a regular basis can reduce acne problems significantly. 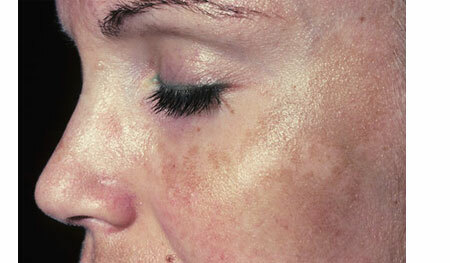 Pigmentation: Pigmentation and uneven skin tone is something that is aiding the business of beauty parlors. Why waste money when a mixture of turmeric and lemon juice and cucumber can give you what you need? Yes, applying any of the two mixtures on face on a day-to-day basis reduces pigmentation and gives an even skin tone with soft glow. Spotless Body Skin: A 10gm or 50gm tube of a fairness cream is good only for your face. What if you want a spotless skin for your whole body? Buy some turmeric and gram flour instead of creams. Mix them evenly in water and use it as a body scrub every day before you take a shower. Within weeks you will see a spotless aura reflecting from every inch of your body. Post-Pregnancy Stretch Marks: Yes, this is a problem every woman in this world faces. Stretch marks on your abdomen after pregnancy can be annoying. Get rid of this by mixing turmeric powder with yogurt. Apply the paste on your abdomen and leave it for 5 minutes. Wipe it off with a soft cloth. Use daily. The paste helps to maintain and improve skin elasticity and gradually gets rid of the stretch marks. Excess Facial Hair: Some women do face this problem. Wash your face with a turmeric paste every day before you go to bed. There will be a gradual and significant decrease in the growth of facial hair. Skin burns: Kitchens are big culprits for skin burns. Take some aloe gel and mix it with a teaspoon of turmeric powder and apply it on the burnt area for a few days. It will aid in quick healing and get rid of the scar. Abrasions and Wounds: Minor abrasions and skin wounds can be effectively treated with turmeric. This herb has many known antiseptic properties that prevents infection, reduces swelling and allows quick healing without any discomfort. Just apply some turmeric paste on the affected area.